Business startup success is possible for everyone. But how can you make business startup success more than possible. Lately I’ve been fascinated with the short, but sometimes challenging, journey between possibility and probability. Possibility holds the energy of hope. Possible means it could happen. Probability holds the energy of optimism and a more confident expectation. Probable means it’s likely to happen. How do you move from possibility to probability? 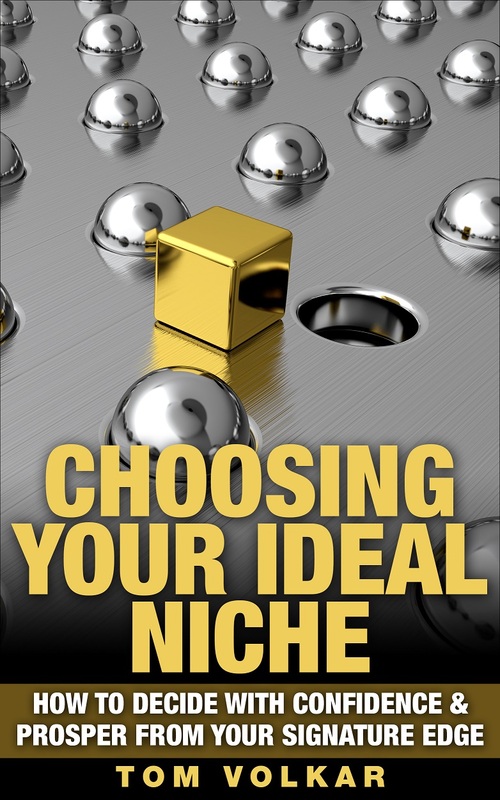 Planning for business startup success is more about taking a choice when you see it. Often we aren’t even aware of where we are – so really we are lost. When lost, we fall prey to states of delay, doubt and confusion. Action always improves clarity because it changes perspective. Here’s a simple way to locate where you are in any meaningful pursuit. I’ve dubbed it the Authentic Cycle of Probability. We can’t claim we’re lost when we know where we are. Identifying where you are on this cycle will allow you to remove excuses and focus all of your energy on the next obvious step. We forget that any movement works. Too often we put our lives on pause because we seek the magical, and elusive, state of certainty. By staking your claim on this map of probability, you’ll tilt the odds of completion in your favor. Discovery is going within to explore and unearth your ideal business. 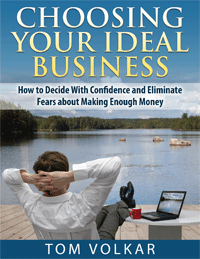 Claim your free Choosing Your Ideal Business guide. Decision is a bold declaration of intent on a clear and meaningful objective. Focus is laser-like concentration on that objective. Massive Inspired Action is engaging a variety of fierce and creative actions to manifest your objective. Momentum is energy gained by the movement of following through. Gratitude is the causative energy of appreciation that blesses us with ease and greater flow. Celebration is self-acknowledgment and recognition for successfully completing every small step. Completion is the triumphant achievement of our objective and our signal to proceed forward to the freshness of discovery. At completion we can honor ourselves by pausing in fulfillment, gratitude and celebration – as long as we feel really good about it. We only need rest and relief when we are toiling in some unaligned, meaningless realm. If we are shooting for the right moon and hitting it, then the energy of completion organically causes us to discover our next mark. For a different look at deciding where you are read: Are You Sure You’re on the Right Path? So, at what stage on the cycle of probability do you find yourself today? Are you consciously working on an intentionally chosen and meaningful objective? Or are you toiling in struggle making someone else rich? If the latter, what are you going to do about it? If you are really ready to do something about it you can begin here in Career Change and Discovery or here for Business Start Up Success Coaching. Many in your shoes have found this free resource of the Nine Elements of Authentic Career Discovery a very useful visual aid. You’ll more surely hit the mark by identifying where you are. In your comments, please stake your claim on greater work life fulfillment, happiness, abundance and freedom by letting us know you where you are. 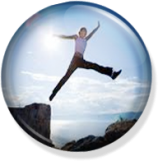 Schedule a Confidently Make the Leap – Free Strategy Session. Get really clear about the business you want to have. Discover the number one thing stopping you from moving forward. Plot out the right timing for you to make your move. Identify the one thing that will give you the confidence to take the leap. End the session inspired and knowing exactly what you need to do next to make your move. I like how you explain going from possibility to probability. It’s amazing how the inner dialog in our own head will determine how we accomplish goals. I’m on my way to career freedom through my blog and my creative thoughts. It’s not easy to transition for working for someone else and that’s why I’m still with my company. I’ve put the wheels in motion and that’s what matters to me. Where are you in your greater work life? Brilliant. Just what I needed at just the right moment! @Karl congratulations for declaring yourself on the journey to work life freedom. That is more than half the battle. I checked out your blog and found your writing clear and useful. Thanks for asking about my journey to work life freedom. I’ve been self-employed for 35 years so I’ve enjoyed my freedom for a long while. Yet there are always adjustments to make. Sometimes I’ll need to work on greater fulfillment or greater prosperity even though I have the freedom of self-determination. Right now I’m in a really good place. I’m enjoying the natural expansion of expression that comes with blogging. @Fawn I’m pleased this was useful for you. The best wisdom arrives right when we are most ready to see it. Just keep finding where you are on the chart and that will show you the openings for then next stage. @Kelly thanks so much for the recognition and stumble. I find this chart very helpful as well. It’s so easy to get off track and become lost. Using this guide we can identify the next step and keep on rolling. You introduced this concept to the group you invited two weeks ago. I noted the steps you outlined and found them very powerful to move me from possibility to probabliity. This post does an even better job of describing this process. I love your graphic. I’m well along on my cycle and looking forward to rapid completion and celebration. Thanks for sharing this insite with all of us. I can’t say enough about how helpful this is. I’ve printed it and posted it where I will see it all the time. I am currently in the Massive Inspired Action phase, and cannot wait to see what I will do next! This is a very useful structure. What I particularly like is that it is chunked down into sufficiently many easily-recognizable headings. I’m in the Massive Inspired Action phase,and got there to a great extent with the help of your Unconditional Support group recently. Since I’m often involved with a number of projects at a time I will be using this both to keep track of “where I am in general” and where I am on specific projects. It is important to Celebrate and Complete in order to be able to release energy for the next inspiring project. I think you could consider expanding entry in order to exemplify how people have used the model, the success they have had when using it, and maybe some more explanation of how to move from one phase to he next. This is a great structure Tom. It always helps to have something to visualize the process. Unless we define it, it’s hard to measure it. For me the two biggest aspects of possibility turned into probability are definition and focus. Analysis paralysis! I love it. If we wait to wrap our brain around everything before we act, we’ll miss the boat. How true! @Peter yes the power resides in the definiteness of knowing where we are so we can clearly see and seize the next step. @Kay massive inspired action is a very fun place to be. That’s what most employees just don’t get as they drag themselves through the day. When we are working from inspiration it’s just like when we were kids. We used to happily fly from activity to activity with no concern for results. @Jonathan yes those two are key to really get the whole cycle moving. Yet I really believe that every stage is equally important. Too many do not respect celebration for example. But celebration is what allows us to actually compound the results that we get. @Clem I’m glad you liked that but I can’t take credit. I have no idea who came up with that term. I do know that I’ve missed too many boats waiting for something that never arrived. I wait no more. @Pat thanks for that quote. Yes doing what we can right now is key. There is always something that is possible to do and we move into the realm of probability by doing it. Congrats on being in the massive inspired action state. No wonder there’s a major shift going on these days. With all this action even collective consciousness is affected. Hi Tom – I like the way you include gratitude and celebration in your scheme, I think I’m on all parts of the cycle with my life’s work! Well yes! I’m doing several things at once, you know, and they are at various parts of the cycle!